Ground report: With dissent among working class, will Warangal remain a stronghold for TRS? KCR’s popularity among the people of Warangal is evident, with many even supporting the TRS not for their local contestant but for KCR. 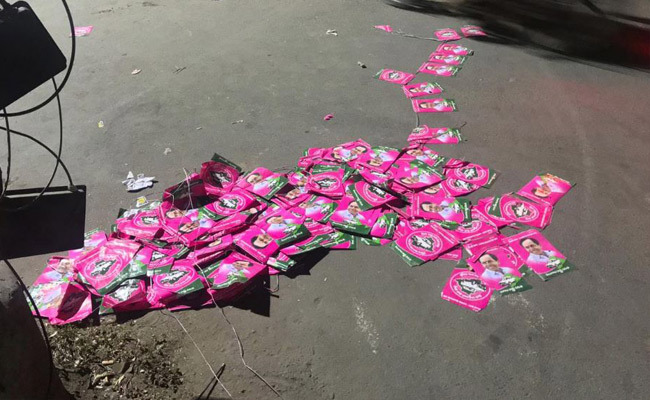 A flurry of TRS posters with the image of KCR scattered on the road greets us as we walk by the bustling bus stop in the centre of Warangal city, acting like a territorial stamp of the party’s hold over the city. Speaking to locals, it becomes evident that while the TRS definitely is the favoured contender for the upcoming Telangana state elections, it cannot be ignored that dissent is slowly simmering among the members of the working class. “Who else will people here vote for?” he asks as he picks up another sheet of dough, deftly folds it into a triangle and adds some stuffing before passing it to his wife to fry, at their small stall near the bus stop. “Telangana is a state today because of TRS; that is all that matters to anyone here,” he adds. But what is it about the TRS that makes Warangal a hotbed of supporters for the party? In April 2001, Kalvakuntla Chandrashekar Rao created the Telangana Rashtra Samithi (TRS) party with the sole intention of creating a separate state, Telangana, with Hyderabad as its capital city. Although this ambition was initially met with some resistance, by the 2009 General Elections, most of the parties in the state of Andhra Pradesh were in favour of bifurcation of the state. After many tussles, the Telangana Bill was passed by the Rajya Sabha in February of 2014, with June 2, 2014, eventually being declared as Telangana Formation Day. Warangal city, which was the capital of the Kakatiya dynasty, had showcased immense support for the formation of Telangana. Along with Karimnagar, Nizamabad and Adilabad, too, played a crucial role in bringing the TRS into power in 2014, with KCR as the first Chief Minister of the newly formed state. The popularity of KCR among the general public in the city of Warangal is absolutely evident, with many even claiming that they are voting for the TRS not for their local contestant but for KCR. “It has only been four years, and only so much change and developments can be expected in such a short time. Let’s give them (TRS) another chance. 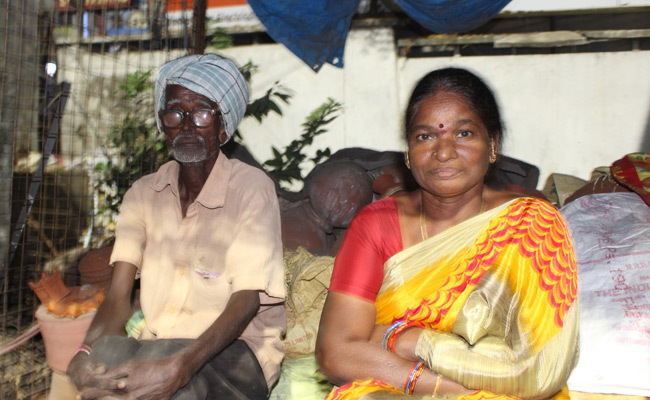 I’m confident they will do good for us,” says 33-year-old Rajendran, a shopkeeper at Warangal. Others expressed their satisfaction with the TRS’s schemes including, Amma Vodi and KCR Kits for pregnant women and Rythu Bandhu for farmers, which they feel has been extremely beneficial. Not everybody in Warangal shares the Telangana sentiment though. While the TRS seems to have a strong grip over the constituency, it’s not to say that there is no dissatisfaction with the party. She isn’t the only one. Several others echoed her words. “He can only go so far with the Telangana sentiment. But something he has to show for it, right? So many of us don’t have jobs despite being well-educated. This is a major issue,” says a young man at a roadside tea stall. Additionally, many senior citizens were upset about not receiving their pensions properly and blamed KCR for not having tended to the issue. “Several youths don’t have jobs. 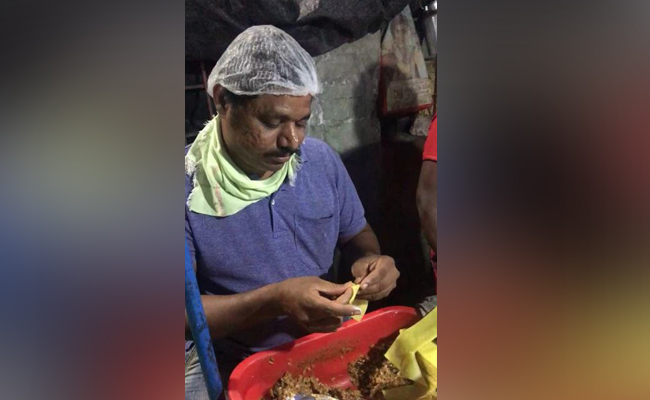 What does it matter if he has introduced these schemes if, in the larger picture, there are so many unemployed people?” questions Feroze, the owner of a bag shop in Warangal city. The TRS has given the contesting seat to Dasyam Vinay Bhaskar in Warangal West and Narendra Nannapaneni in Warangal East. Other candidates from the constituencies include the TDP’s (Mahakutami) Revuri Prakash Reddy and BJP’s Dharmarao Marthineni in Warangal West. In Warangal East, on the other hand, there is Ravi Chandra Vaddiraju for the Indian National Congress (Mahakutami) and Satish Kusuma for the BJP. Telangana is set to go to the polls on December 7 and counting of votes will take place on December 11.